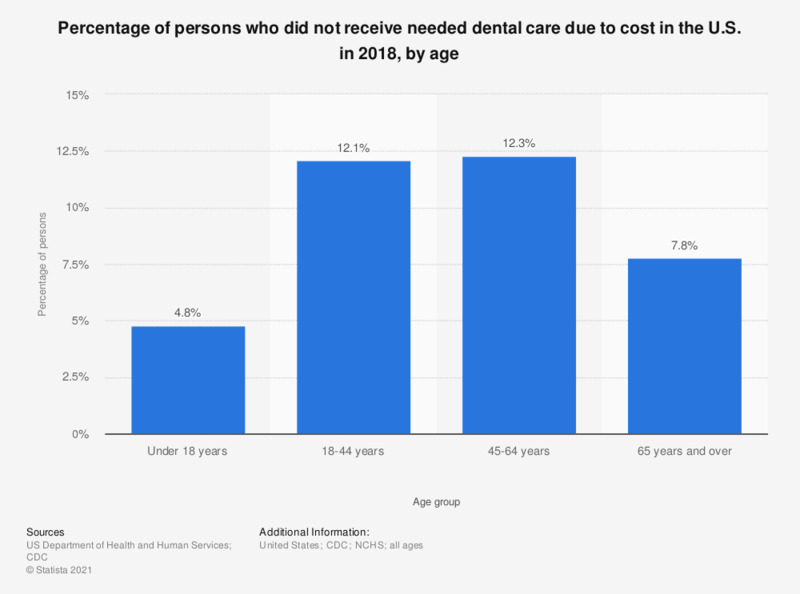 This statistic shows the percentage of persons who did not receive needed dental services in the past year due to cost, in the U.S. in 2016, by age. In that year, this percentage among persons under 18 years of age in the United States was 3.9. * Data are for the civilian noninstitutionalized population. Based on persons responding "yes" to the question, "During the past 12 months was there any time when [person] needed dental care	(including check-ups) but did not get it because [person] couldn’t afford it?"